I truly believe that southern recipes are some of the best recipes that one can prepare. Southern meals are always hearty, delicious, and budget friendly. If you’re from the south you probably come from a large family, personally I’m from a family of 10 children. S0 it was important for meals to stretch and to be filling. 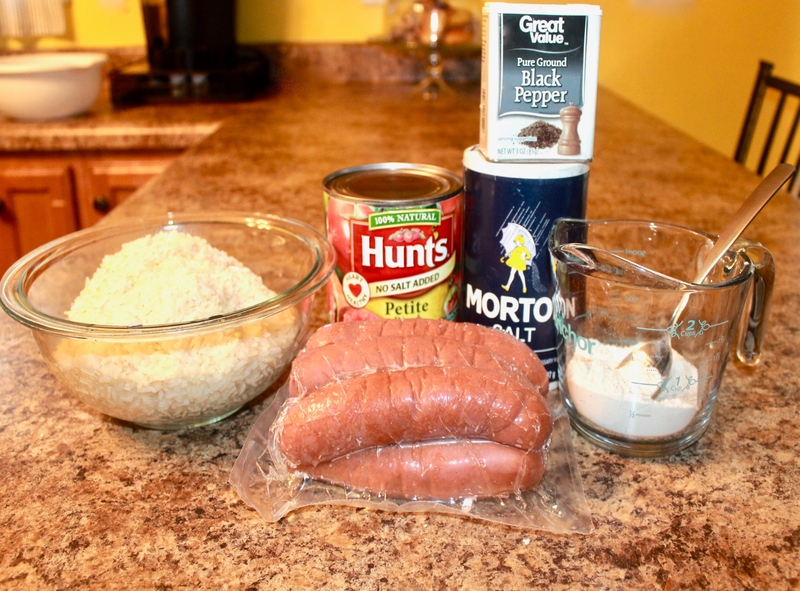 Tomatoes, rice, and sausage is a traditional southern recipe that has been around for as long as I can remember. One of the best thing about Southerners, is that we can literally make a meal out of anything we can find. 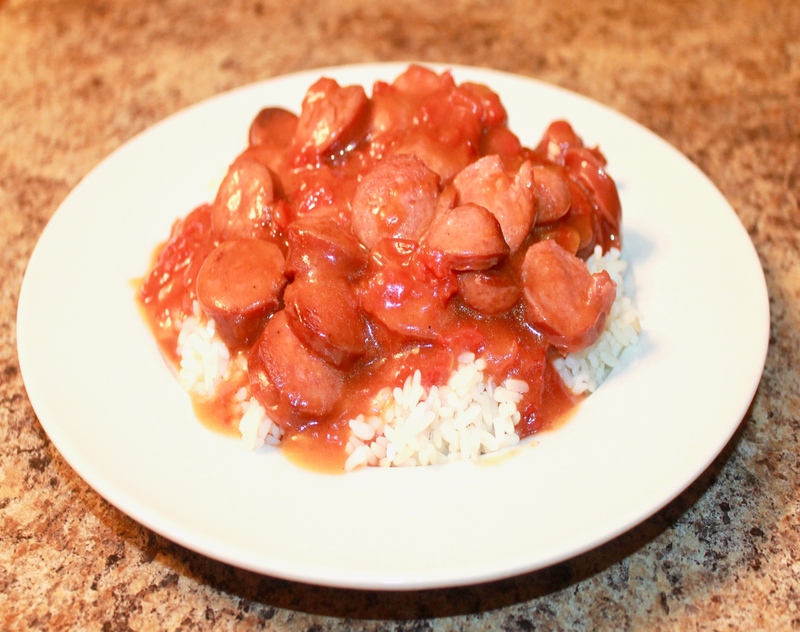 I decided to share this quick and easy southern recipe; Tomatoes, Rice, and Sausage because it is extremely delicious. This is truly a quintessential southern dish and if you love okra you can be sure to add that in as well. Since the weather is finally cooling down it’s the perfect dish for these cold evenings. Keep reading for the southern recipe and the final product. 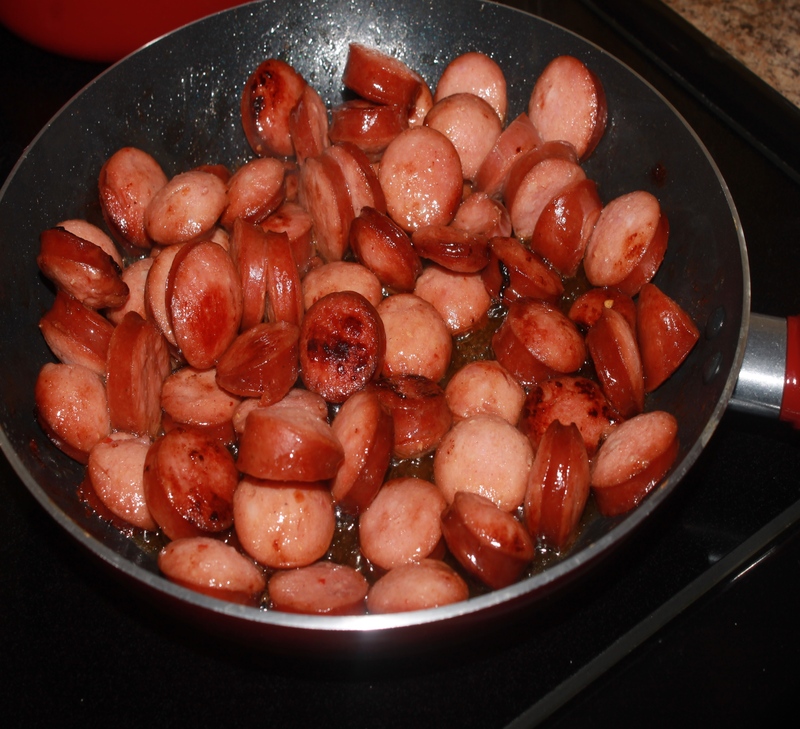 First, you need to cut your sausage into small circular bite size pieces. Add one tablespoon of oil into a saucepan. 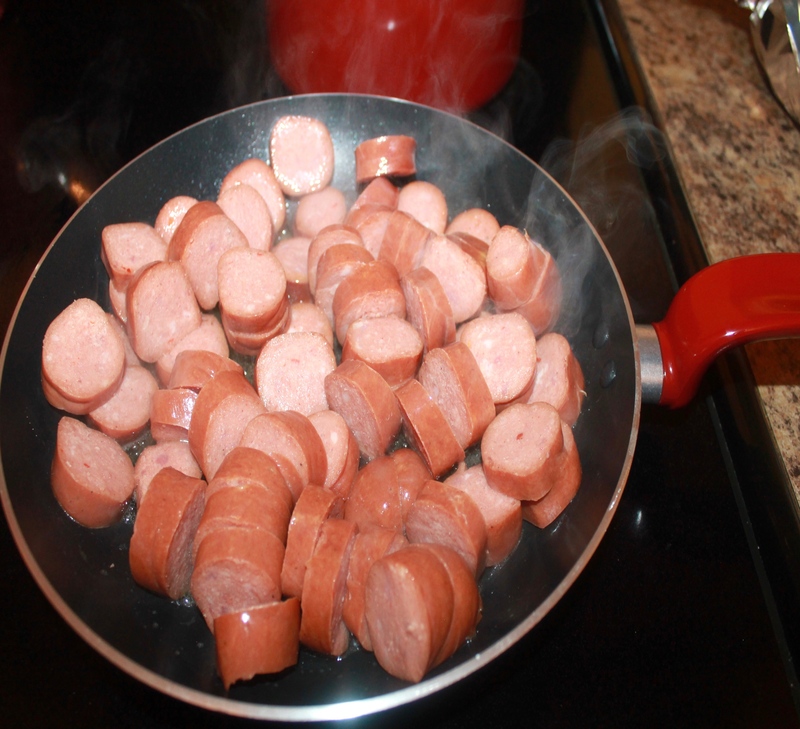 Then add the sausage, and stir on medium heat until brown. 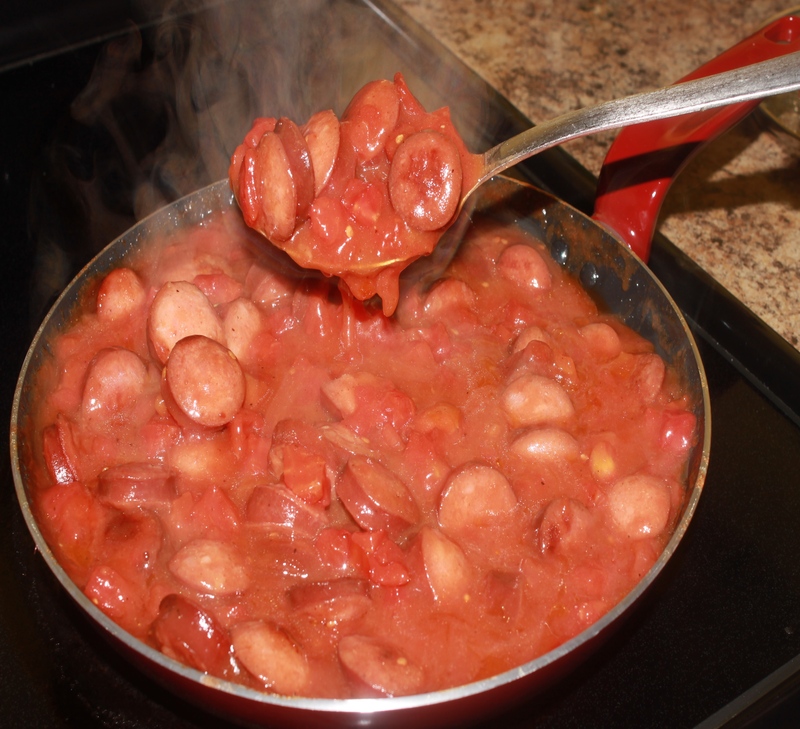 Once your sausage has sautéed in pan, then add your 1 can of petite tomatoes into a saucepan, stir your tomatoes slowly while adding your water and flour thickening on low heat. Add pepper as needed for taste. 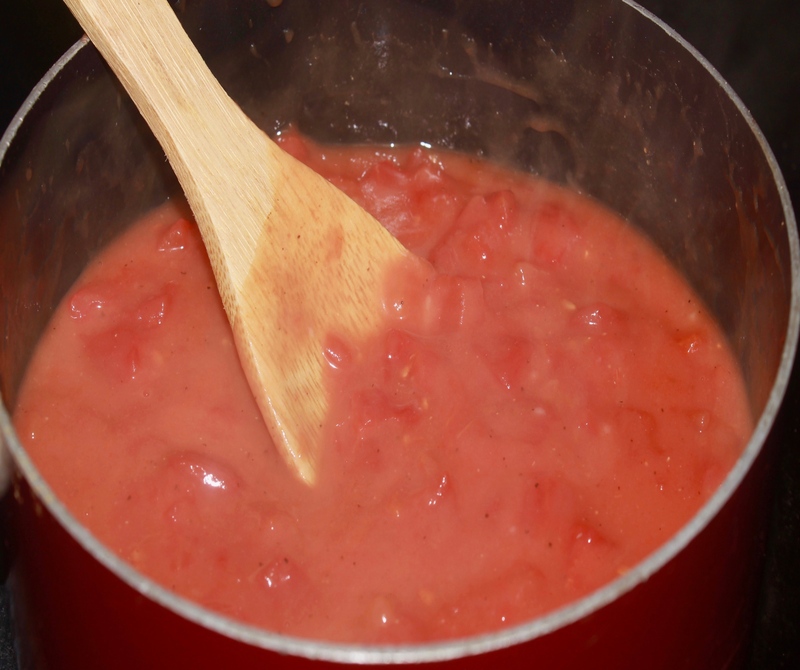 Once your tomatoes have simmered and thickened for about 5-10 minutes. 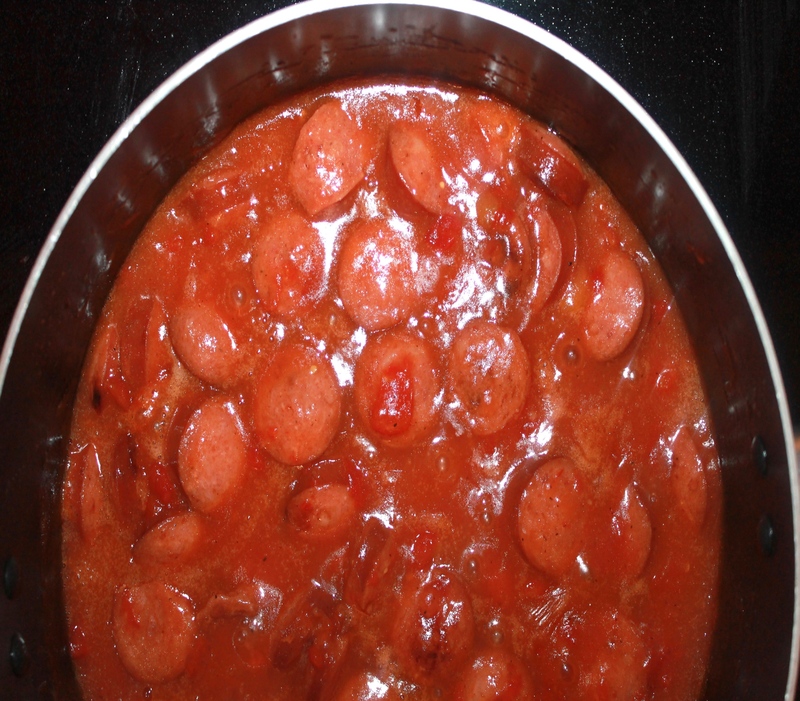 Add your tomatoes into the saucepan with your sausage, let it simmer for another 10 minutes. Serve your tomatoes and sausage over white or brown rice. As I mentioned earlier, this recipe is so quick and easy. 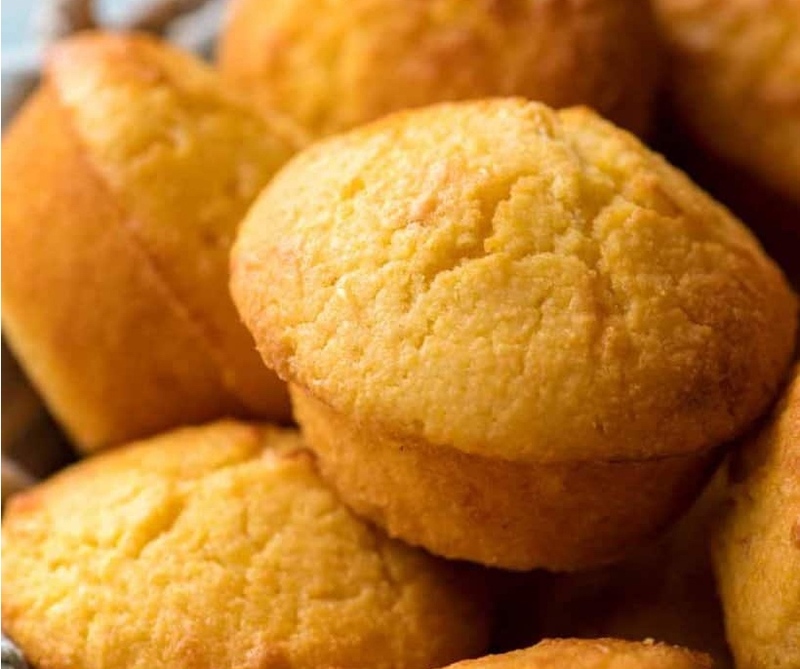 You can add a cornbread muffin, a glass of Sweet Tea, and enjoy a true southern staple. I hope y’all enjoyed this recipe!